Colleen Bradley is married with a teenage son, a modest business repurposing and reselling antiques, and longtime fear that she was not her husband's first choice. When she decides to take a road trip down the east coast to check out antique auctions for her business, she also has a secret ulterior motive. Her one-woman mission for peace of mind is thrown slightly off course when sixteen year old Tamara becomes her co-pilot. The daughter of Colleen's brother-in-law, Tamara is aware that people see her as a screw-up, but she knows in her heart that she's so much more. She just wishes her father could see it, too. The already bumpy trip takes another unexpected turn when they stop at the diner that served as Colleen's college hangout and run into her old friend, Bitty Nolan Camalier. Clearly distressed, Bitty gives them a story full of holes: angry with her husband, she took off on her own, only to have her car stolen. Both Colleen and Tamara sense that there's more that Bitty isn't sharing, but Colleen offers to give Bitty a ride to Florida. So one becomes two becomes three as Colleen, Tamara, and Bitty make their way together down the coast. 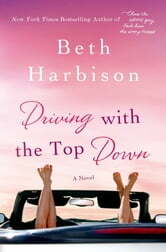 It's a road trip fraught with tension as Tamara's poor choices come back to haunt her and Bitty's secrets reach a boiling point. With no one to turn to but each other, these three women might just discover that you can get lost in life but somehow, true friends provide a roadmap to finding what you're really looking for.